The philosophy of “less is more” has permeated almost every facet of modern life – construction engineering notwithstanding. EPS geofoam is a perfect fit, giving designers a unique product that works in conjunction with other, more traditional materials to solve construction problems with unprecedented strength and flexibility. EPS geofoam enables engineers, architects, builders, landscapers and other industry professionals to design by function, that is, to focus on the key geosynthetic functions they’re looking for in a particular project, then select the best combination of products to achieve the goals most cost efficient. 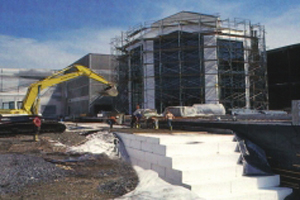 EPS geofoam provides several unique functions not available with other types of geosynthetic materials. This multi-functionality replaces the need for many different products to achieve the desired results, making EPS geofoam highly cost effective. At the same time, EPS geofoam products work very well as a complementary resource, with EPS geofoam-based composites and new synergies enabling end users to design with even greater flexibility and more options, not to mention unique results that would not be otherwise attainable. EPS geofoam products help reduce and absorb the impacts of naturally occurring forces such as gravity and earthquakes rather than trying to strengthen or stiffen a structure to resist the forces. By working with, rather than against these forces, EPS geofoam gives engineers more flexible solutions to construction challenges. 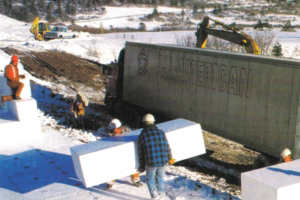 For more information about our geofoam capabilities, be sure to contact us at Northwest Foam Products, Inc. today!